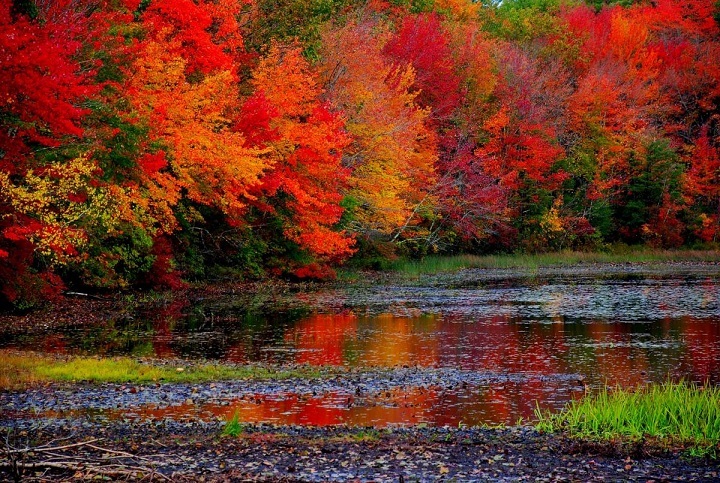 The Autumn season is my favorite time of the year. Warm days and cool nights, The tree leaves changing colors and football is back. Of course none of that matters to chess players. We play indoors regardless of the season. The best part was, by avoiding the 2 day cost of a hotel, the DCC was able to pay out a real nice 1600 dollar prize fund, pay all expenses, make a substantial donation to the library, and still actually end up in the black. 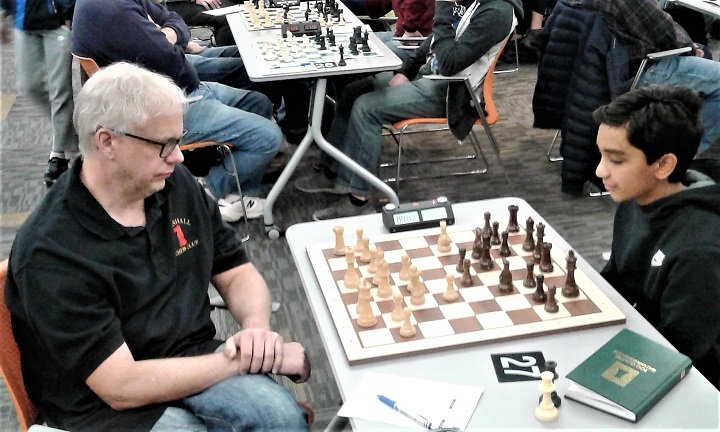 Both the DCC Treasurer, Meint Olthof, and the DCC Vice President, Roger Redmond, a professional financial adviser, were pleased that we, for once, did not lose money to stage a chess tournament. A crucial round 4 battle between two National Masters. Richard Shtivelband vs. Brian Wall, playing White. Dean Clow, with the White pieces, playing Rhett Langseth. 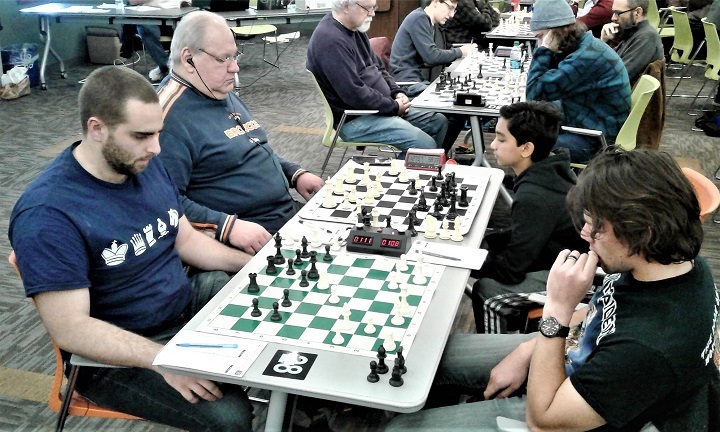 In the background, Calvin DeJong is playing Black against Neil Bhavikatti. Andrew Starr has White against Adiitya Krishna. Joe Hubler has the Black pieces against David Hufnagel. 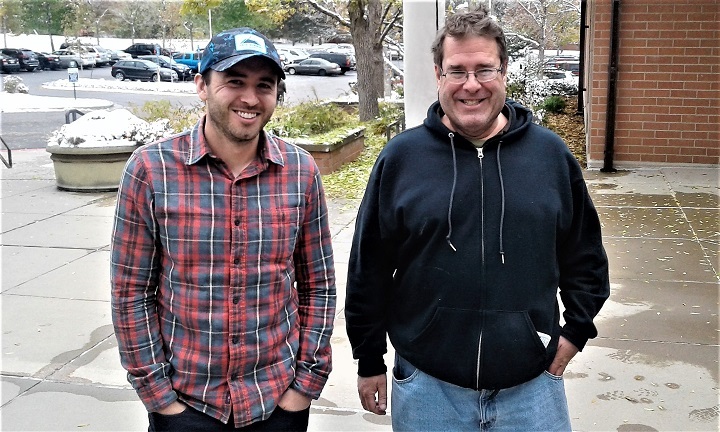 Joshua Blanchfield, on the left, and Steve Kaufman. Looking quite pleased to have to have ruled the U1800 section. Brian Ledsworth has the White pieces against Pranav Maddli in the last round. 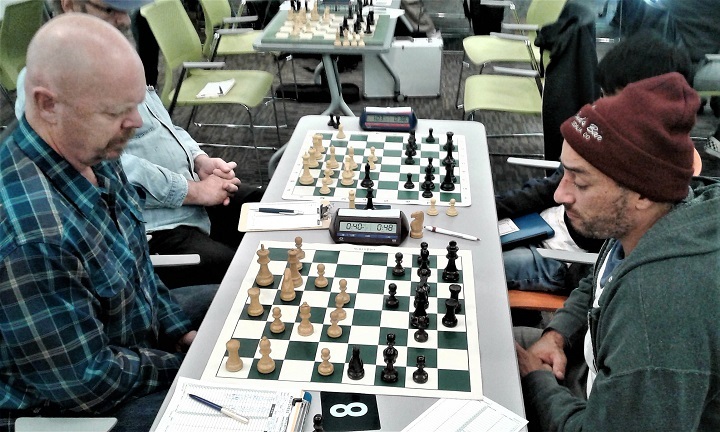 In the foreground, Brian Norris-Saucedo is playing White against Andrew Eskenazi. Congratulations to all the prize winners, and thanks to all who registered to play and made this a challenging, competitive tournament. Thanks to Todd Bardwick for efficiently running the tournament, using Dean Clow's CassiaChess software. 2) The same game after 25... Rd8-d2. 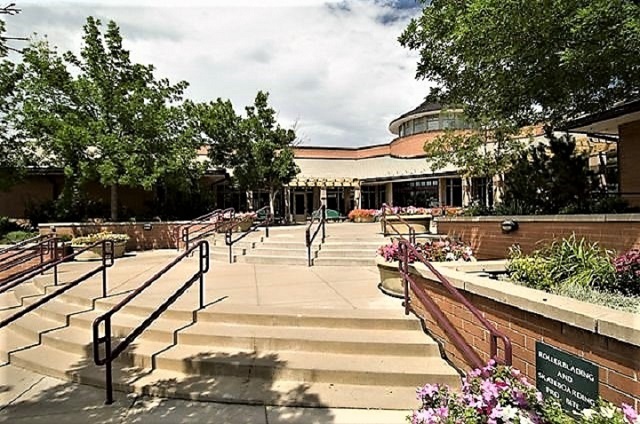 And what did the Grand Poobah of Colorado chess play here to win the game? 3) Richard Shtivelband vs. Alaa-Addin Moussa. Round 3. Final Position after 35. Kg1-g2. Black resigns. The f7 square must be defended and it will cost Black an exchange. 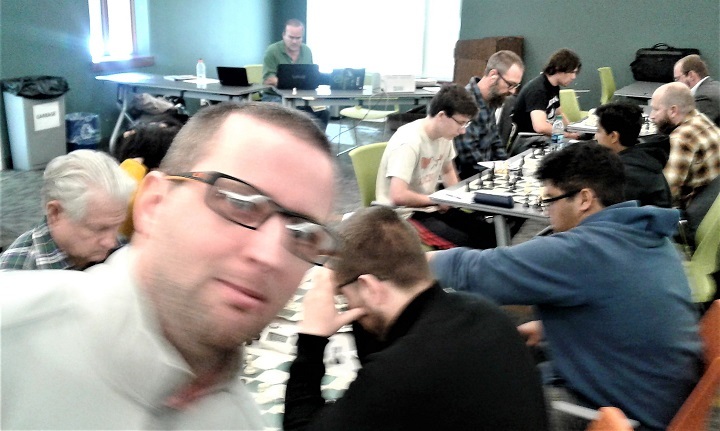 https://denverchess.com/games/view/17900 A well played game by Colorado's newest 2300 rated National Master. 7) Alaa-Addin Moussa vs. Joe Hubler. Round 4. White has just captured a Bishop with 39. Rd6xc6, and it appears Black is busted. Find Mr. Hubler's calm, cool and collected move. https://denverchess.com/games/view/17883 Collected, as in collected the full point. 8) Calvin DeJong vs. Christopher Motley. Round 1. The young Calvin DeJong finishes the game quickly from this position. Black last move was 17... b7-b6. How would you continue? 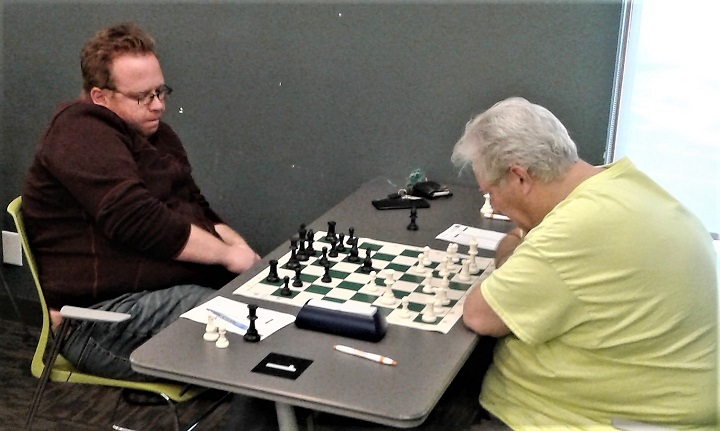 https://denverchess.com/games/view/17899 See a irresistible force -Calvin- against an immovable object -Davin Yin- game. 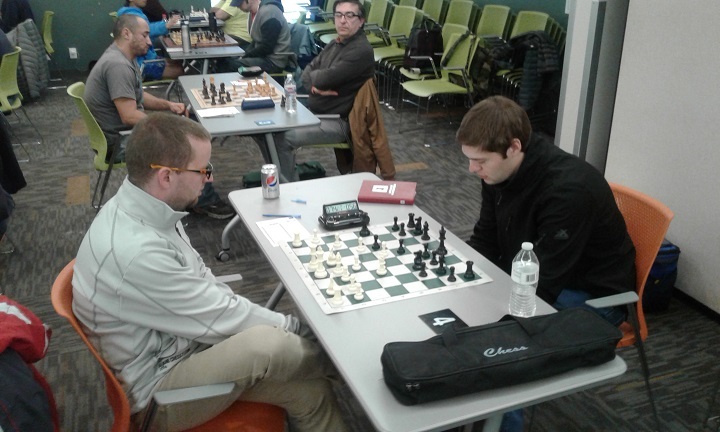 https://denverchess.com/games/view/17884 Force wins out in the end but Davin did not go down easy. 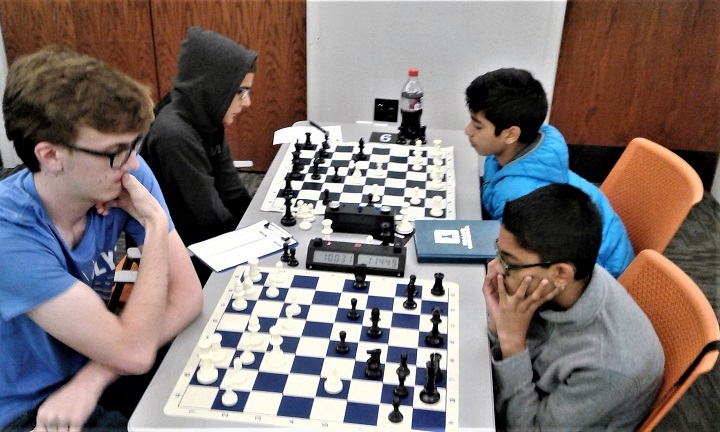 Both of these young players will be a force in Colorado chess for years to come. 10) Joshua Blanchfield vs. Dean Brown. Round 2. White had played a nice King side attack to reach this position. What does he play now to win the game? 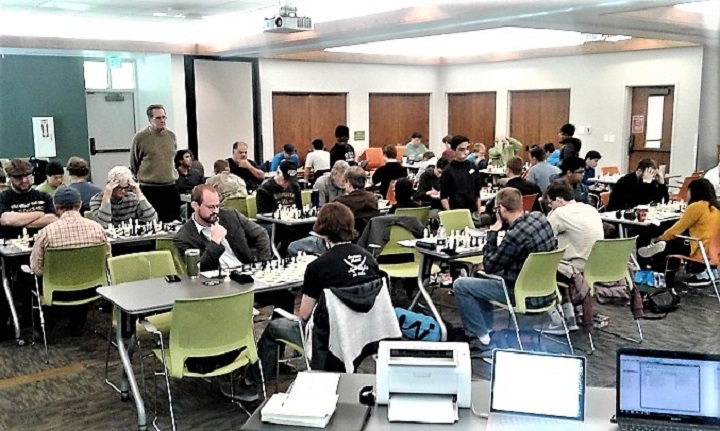 https://denverchess.com/games/view/17887 Welcome to Colorado Mr. Blanchfield.